Franchising as a business model brings in new business owners each month. New entrepreneurs – or entrepreneurs who are looking for new ventures research and find new success in this proven business model. It's a method that isn't new, but is often new to certain business owners, especially those who have started their own brand or worked in other professional spaces. What's interesting about franchising, however, is its potential for success. Franchises are created from businesses that have already proven to be successful. That, of course, is the biggest perk of them all. New franchisees might easily overlook this factor, yet it's what is going to make their business thrive. Franchises are created off of models that work. When a business takes off, when the kinks have been worked out, when money is to be made and the model is easily repeated, a franchise is born. The company is able to recreate their own location over and over again with a series of instructions. Contracts are signed, guidelines are set, and more – all ensuring that the model is followed to a T, and that brand growth is readily achievable. As a new franchisee coming in, remember this main perk: the kinks have been eliminated. This brand worked through its issues, did testing and found what worked all before you came into the picture. In other words, you can move forward with success. You don't have to be the guinnea pig, you can simply be the one who grows your location and makes money. Next, remember that you have a team of experts there to guide and help you through the franchising process. It's in your franchise's best interest that you do well, too. Therefore they will help you on the road to growth; not only is it their job to help you, it helps them look good and profit in doing so. This means experts in financing, funding, booking overhead, hiring and training staff, building upkeep, and more – all within your particular industry and brand. It doesn't get much more specialized than that. Your franchising company has also done research on your particular market, meaning they have data on demographics, numbers and ages of customers, as well as room/probability for growth. Take all of this into account when signing on and know you aren't alone, but rather you have a trained team to help you every step of the way. Another often overlooked perk to franchising is the fact that the company thoroughly vets its franchisees. Before you even ever get approved to work with a brand, they will have done their research on your business skills, as well as your personality and how you will fit within the company. They will look at your strengths and work background and ensure that you are fully qualified. They will also determine your learning skills for obtaining new information and growing as a brand owner. In other words, if you don't check every box from the get-go, they will see your potential for learning into the future. This isn't a factor to fret about, but rather take pride in your ability to run and grow a business. If you can pass through their interviewing process, you can gain confidence that you will be a good fit in moving forward with the franchise. They approved you knowing you would succeed. You should also consider your room for growth in franchising. Opening your initial location is a wonderful step professionally. You get to take on the job you've always wanted and become a business owner. However, you don't have to stop there. You can grow your location to incredible heights, you can open a second franchise, or a third or forth, and so on. You could sell your franchise and purchase another business of a larger size – this is true within your initial franchising brand and outside of it. The possibilities are endless, and what's more is that you get to make your job what you want it to be. Decide which aspects of franchising you enjoy, and lean after those parts going forward, adjusting your job into whatever you enjoy best. 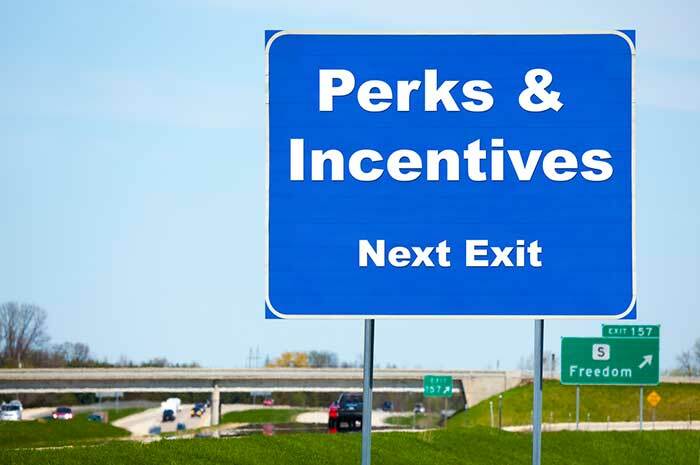 There are many areas of growth in the franchising industry, including perks that can be forgotten or overlooked by those who are first-time franchisees. Remember these key points of growth to get the most out of your business ownership process.